Welcome to the Mosaic Mystery Quilt page! This is my fifth mystery quilt along and I am so excited for it to start. 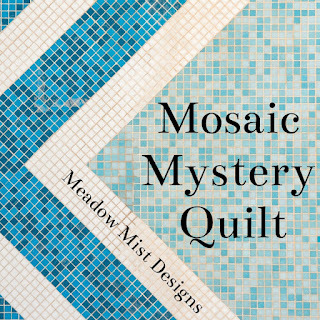 The Mosaic Mystery Quilt is a free quilt-along that will run from July 2019 through April 2020 with a set of directions revealed the first Thursday of every month. The Mosaic Mystery is a lap size design, that can easily be made larger with the addition of borders. The first post about fabric requirements will be posted on Thursday, July 4th. All posts related to the mystery quilt will be listed here with links. 3. Prizes - We will have prizes! Prizes will be given out randomly to quilters who submit quilts or quilt tops to the reveal parade in April 2020. More information about prizes will be posted closer to the start date. 4. The Un-Mystery Quilt - Want to join in the fun but making a mystery quilt is not your thing? I totally understand and offer a sneak peek of the design! 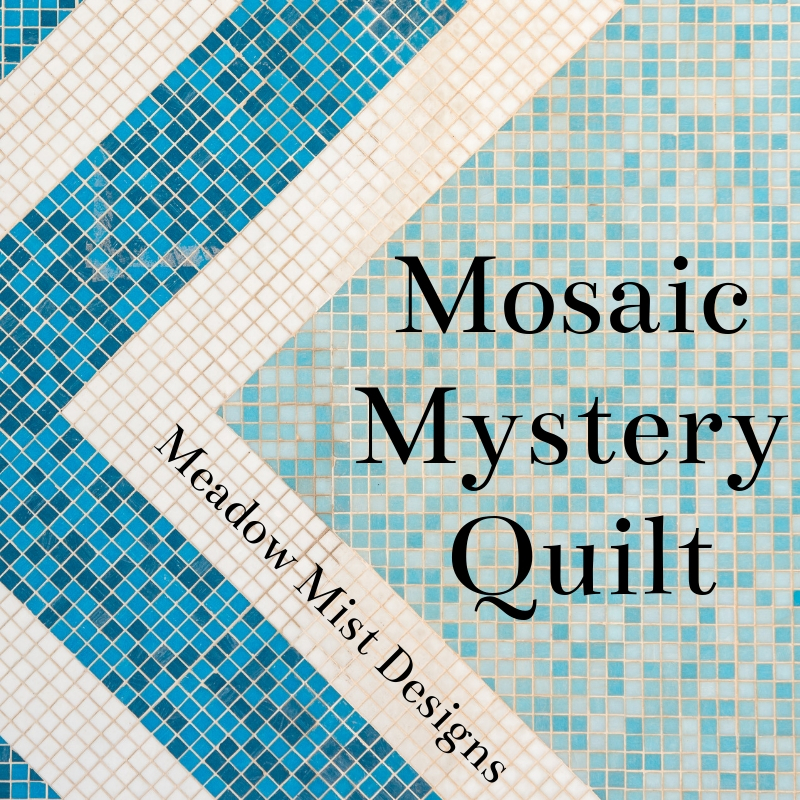 If you would like to see the final pattern to decide whether to join in, or to help pick colors, you can sign up to receive the Un-Mystery Quilt Sneak Peek. The sneak peek will be sent out on Thursday, July 4th and will contain the sneak peek, multiple colorway renderings, and a coloring page. The only rule is that you have to keep the design completely to yourself as to not spoil anyone else's surprise. 5. Facebook Group - We have over 3,300 active members in our Facebook Group (Meadow Mist Designs Facebook Group) sewing together! Join the group today so you can share and see everyone else's fabric, progress pictures, and finished quilts. I can't wait! Mosaic sounds intriguing. i'm really looking forward to this, and thank you so much for the "unmystery" possibility. i enjoy it much more!!!! So happy to start a new mystery quilt last one was so much fun. Cheryl you are just the best. So very glad you are doing another mystery quilt! This will be my 3rd one with you. Thank you Cheryl. I cannot wait!! Love your mystery quilts! !